Use this cute activity to go along with the story, "There was an Old Lady Who Swallowed a Chick." Hide the objects around the room and have the children find them and record them on their recording sheet attached. 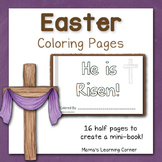 Christian Easter Coloring Pages - He is Risen! Have your kiddos stamp away some CVC words by picking a bunny, coloring it the correct color and stamping the correct letters to build a word on the recording sheet. Super cute and fun! 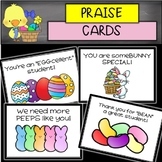 EASTER Themed activities for CATEGORIES/VOCAB EASY FUN! 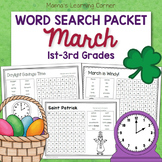 This language packet uses the same activity concept to target a variety of vocabulary. 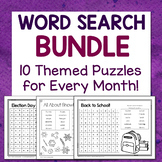 Each activity has (8) opportunities to match categories. 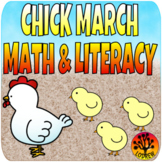 Name that Category Home: Students match the 2 inch category circle to the corresponding list of words on the eggs. This focuses on the rooms in a house. 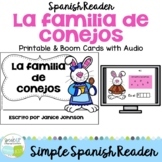 This product provides multiple menus for guiding your learners through an Interactive Read Aloud of Peppa's Easter Egg Hunt. 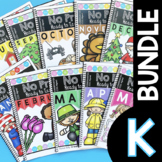 The resource offers 52 pages for before, during, and after reading that address concepts about print, decoding accuracy, fluency and expression, vocabulary and comprehension. This poem is perfect for practicing recitation with your students. It has the right balance of humor to help keep the boredom away. 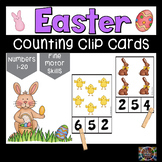 Pair this up with a bunny eating graph activity or a writing project on how to best eat a chocolate bunny and you are sure to be a hit! 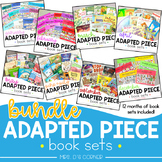 Monthly Adapted Piece Book Set BUNDLE - 12 Months of Book Sets! 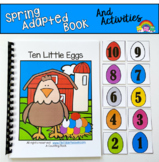 Spring Adapted Book and Activities: "Ten Little Eggs"
80 DIFFERENT BOOKMARKS to use for reading INCENTIVES!! 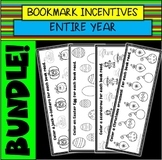 This product includes bookmarks for: BACK to SCHOOL FALL HALLOWEEN THANKSGIVING CHRISTMAS WINTER VALENTINE'S DAY ST. PATRICK'S DAY SPRING EASTER SUMMER Thank you for your interest in my product! © Mama Pearson All rights reserved by author. 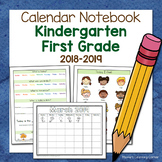 Calendar Notebooks for Preschool and Kindergarten-First Grade 2018-2019! 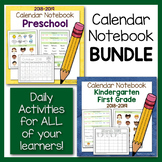 Would you like to try Calendar Notebooks with your students this year? If so, this BUNDLED set of notebooks would be perfect! Buying both of the levels of calendar notebooks makes differentiation in your classroom a BREEZE!